Amyotrophic lateral sclerosis (ALS), sometimes called Lou Gehrig’s disease, is a progressive neurological disease that attacks the nerve cells (neurons) responsible for controlling voluntary muscles (muscle that we are able to control, such as those in the arms, legs, and face). The disease belongs to a group of disorders known as motor neuron diseases, which are characterized by the gradual degeneration and death of motor neurons. Motor neurons are nerve cells located in the brain, brain stem, and spinal cord that serve as controlling units and vital communication links between the nervous system and the voluntary muscles of the body. Messages from motor neurons in the brain (called upper motor neurons) are transmitted to motor neurons in the spinal cord (called lower motor neurons) and from them to particular muscles. In ALS, both the upper motor neurons and the lower motor neurons degenerate or die, and stop sending messages to muscles. Unable to function, the muscles gradually weaken, waste away (atrophy), and have very fine twitches (called fasciculations). Eventually, the ability of the brain to start and control voluntary movement is lost. ALS causes weakness, which can result in a range of clinical presentations (see section titled “What are the symptoms?”). As muscles under voluntary control become affected, individuals may lose strength and the ability to move their arms, legs, and body. If muscles in the diaphragm and chest wall weaken, people may notice shortness of breath, trouble sleeping, or fatigue. Respiratory weakness is the major cause of mortality in persons with ALS. While it is very difficult to predict how long a person will live with ALS, typical survival is 3 to 5 years from the onset of symptoms, however, about 10 percent of those with ALS survive for 10 or more years. ALS can in some circumstances affect memory and behavior and this is a symptom that we monitor. We also assess for mood disorders, such as depression, that can affect quality of life. ALS does not affect a person’s ability to see, smell, taste, hear, or recognize touch. Patients usually maintain control of eye muscles and bladder and bowel functions. More than 12,000 people in the U.S. have a diagnosis of ALS, for a prevalence of 3.9 cases per 100,000 persons in the U.S. general population, according to a report on data from the National ALS Registry. ALS is one of the most common neuromuscular diseases worldwide, and people of all races and ethnic backgrounds are affected. 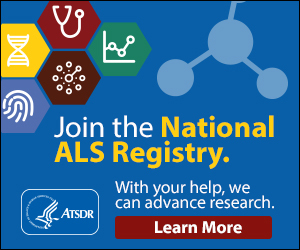 ALS is more common among white males, non-Hispanics, and persons aged 60–69 years, but younger and older people also can develop the disease. Men are affected more often than women. In about 90 percent of all ALS cases, the disease occurs apparently at random with no clearly associated risk factors. Individuals with this sporadic form of the disease do not have a family history of ALS, and their family members are not considered to be at increased risk for developing it. About 10 percent of all ALS cases are inherited. The familial form of ALS usually results from a pattern of inheritance that requires only one parent to carry the gene responsible for the disease. Mutations in more than 20 genes have been found to associate with ALS. At least one-third of all familial cases (and a small percentage of sporadic cases) result from a defect in a gene known as “chromosome 9 open reading frame 72,” or C9orf72. The function of this gene is under intense research. Another 20 percent of familial cases result from mutations in the gene that encodes the enzyme copper-zinc superoxide dismutase 1 (SOD1). The onset of ALS may be so subtle that the symptoms are overlooked. The earliest symptoms may include fasciculations (muscle twitches), cramps, tight and stiff muscles (spasticity), muscle weakness affecting a hand, arm, leg, or foot, slurred and nasal speech, or difficulty chewing or swallowing. These general complaints then develop into more obvious weakness or atrophy that may cause a physician to suspect ALS. It is not unusual for a diagnosis of ALS to be made one year after the onset of symptoms. In searching for the cause of ALS, researchers are also studying the role of environmental factors such as exposure to toxic or infectious agents, as well as physical trauma or behavioral and occupational factors. For example, studies of populations of military personnel who were deployed to the Persian Gulf region during the 1991 war show that those veterans were more likely to develop ALS compared to military personnel who were not in the region.